The title of this post pretty much sums it up. 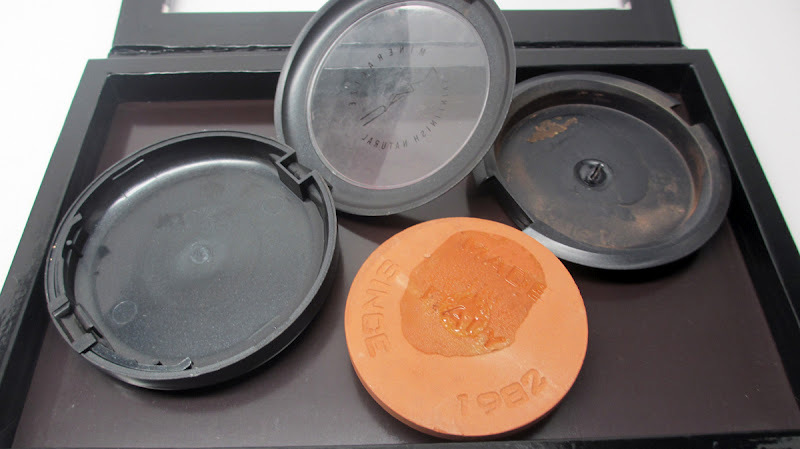 I'll show you how I depotted all of my MAC Mineralized Skinfinish Naturals into a domed Z Palette for my kit. It was ridiculously easy to do and will definitely make me reach for them more. Check it out! 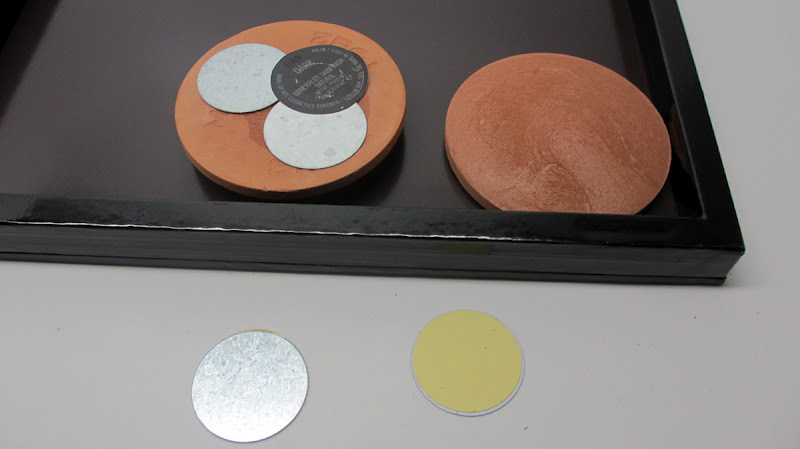 First off, this new domed Z Palette (right) is much thicker than the original (left) which is why you can now fit domed, mineralized products. I follow @zpalette on twitter and I remember asking them if they had a palette that could fit domed products. They didn't at that time..then not too much later they were asking feedback on if we wanted a palette that could accommodate this. I chirped in with my YES and not too much longer here it is! It's really a great idea. I had all my MAC MSFs sitting in a drawer. I bought them for my pro kit but they were neglected because they were in their own individual compacts vs a palette. Well that has changed. Today I'll show you how I depotted them. Before shot - I had 6 barely touched MSFs for my kit. It's hard to believe it, but all of these will fit comfortably into one domed Z Palette. I depot the MSFs the same way I depot eyeshadows. I pop out the plastic cartridge holding the makeup and place it over a flat iron. Then I push out the product through the melted plastic back. The difference here is that there is not a metal pan attached. You really do see how much product you get and it's a lot! Then I take two of the metallic stickers that are included with the palette and stick them to the back of the product (covering the tacky glue remnants) along with the name sticker for the product. 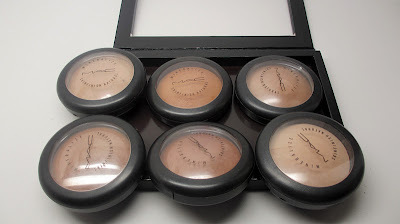 It's kinda weird sticking it directly to the makeup product as opposed to the pan, but it works. 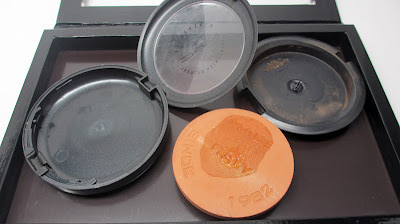 ***Update: My knowledgeable readers informed me that in lieu of a metal pan, the product is baked on a terracotta sheet which matches the color of the product. You're not actually sticking the metal to the makeup, you're sticking it to the terracotta sheet. Good to know! Here they are all nice and lined up. I put them from lightest,left to right on top, to darkest on the bottom so that I have an idea of what shades they are. Closed. 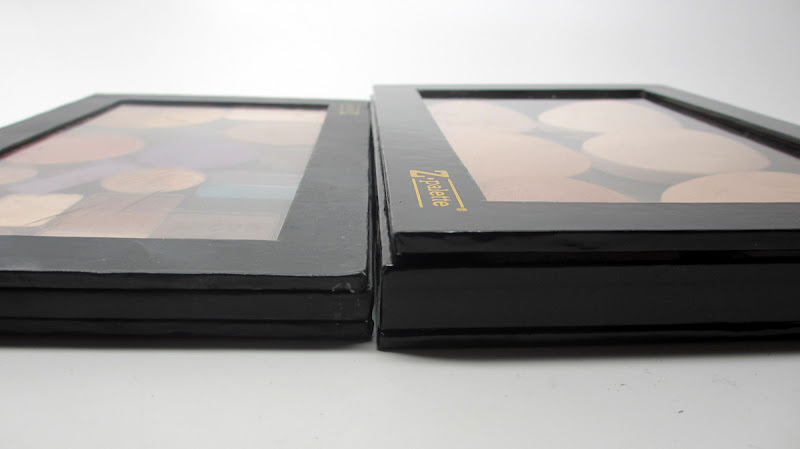 The makeup is nice and secure in the palette, no sliding around. So much more convenient and I have 6 new products that can go Back To MAC. Hope that was helpful! Depotting like this is a great idea for you to actually see and use your products more...it keeps you organized as well. I definitely think it's worth the time (took me 10 minutes) and investment. 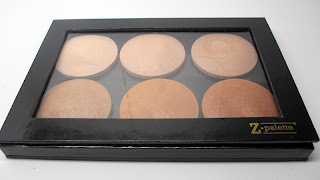 You can find this palette retailing for $28 at www.zpalette.com but I purchased mine using a pro discount at www.lecosmetique.com. Now I know it is...thanks! Great idea. Great post. FYI...you're not actually sticking the metallic stickers on the product - its a terra cotta plate. It looks like there is a lot of product but in reality it's just the plate the MSFs are baked on. Great post, love this idea! PS. 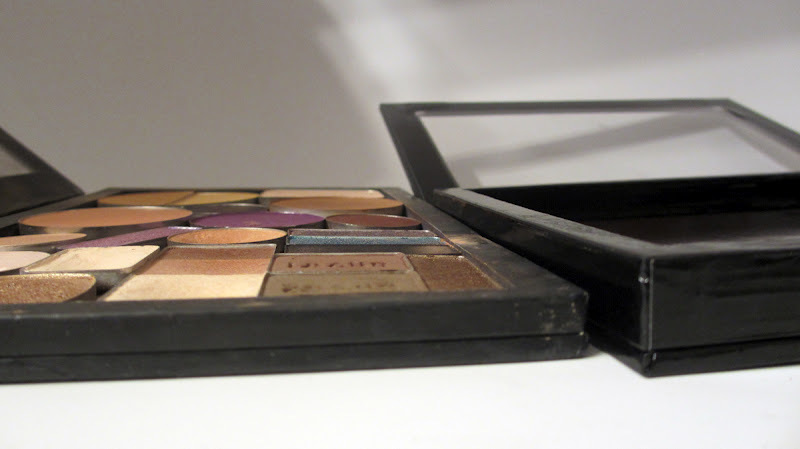 You are not sticking the labels directly to the makeup with the MAC Mineralize products. 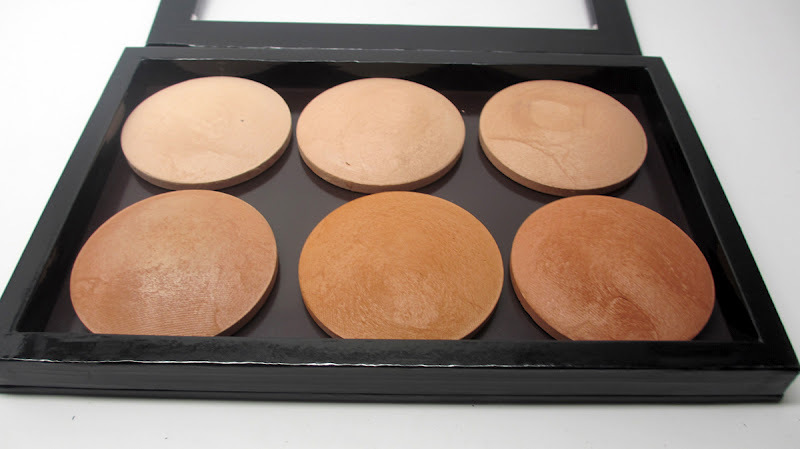 There is a terra-cotta sheet, matching the makeup, that the product is sitting on. You'll be able to see that as the product gets low. great to know, thanks ladies! Hey Ren! 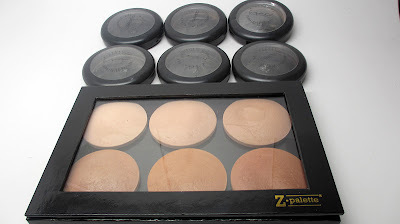 I have some baked makeup products laying around in my kit- the new domed Z Palette would be great. Thanks for sharing. Love, love, love! This palette looks so pretty with all the MSF! I totally want to make one like this too! This will save my MSF's from neglect. Thanks Ren. Weekend mini project woohoo!! 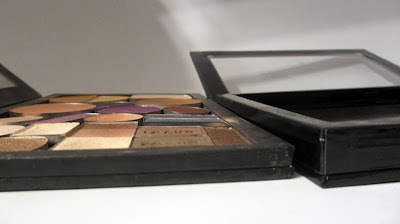 Now if only I can depot my Bobbi Brown stuff into a z palette as well.